Works on paper and a couple made from paper. Here’s a quick post about some artists who have caught my attention lately. 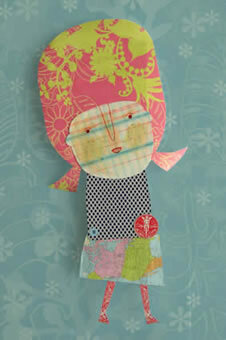 Simone sent me the link to the lovely paper dolls by Portuguese artist Ana Ventura. You can purchase her postcards as seen above here (don’t trust me on the euro conversion, but I think you can purchase these for under $7). 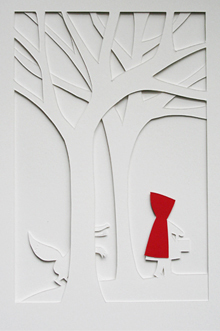 Another paper artist, Patricia Zapato of A Little Hut creates wonderful cut paper images like Hiding, above (8″x10″, $35). Just added the Etsy shop of Creative Thursday to my new Etsy Favorites page. 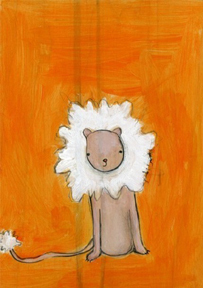 A print of buttercup (8.5″x11″), above, is available in her Etsy shop for $35. Thanks so much for sharing my work on your blog. And I especially love this image by Patricia and Little Hut!